Pralines with goose liver, lemon grass or rosemary. 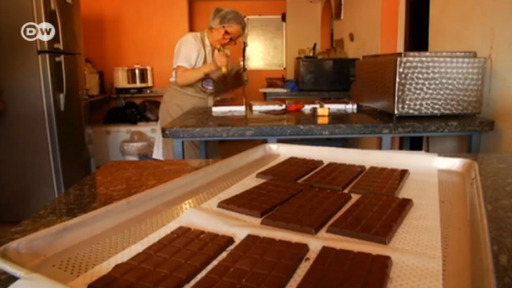 Chocolatier Kevin Kugel from southern Germany loves to experiment. He plays around with ingredients and the look of his treats. Some are reminiscent of sculptures.